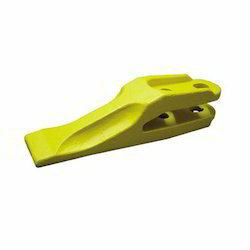 Tooth PointsClick to ZoomProduct Details: MaterialAlloy steelColorYellowHardness48- 52 hrcWe bring forth an extensive range of Tooth Points, which is widely regarded among the customers, we have. We are a leader in offering a best quality of Tooth Point to our clients. These products are known in market for their optimum performance, dimensional accuracy, longer functional life and low maintenance. Tested as per the standards, these products have a very low failure rate. 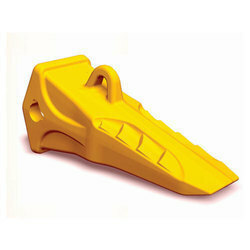 Our wide assortment of tooth points castings, is casted using quality metal. Good quality raw material used ensures that the products are durable and reliable. Owing to the rust and corrosion free nature of our products, these have been demanded across the world for various industrial applications. Offering a diverse range of tooth points.